Custom Sliding Barn Doors Installed Into Home – More Job Details Below. Craftsman Contracting specializes in Finish Carpentry Services. Many times one may ask “What is Finish Carpentry?”. Finish carpentry is the last step in the carpentry and construction process. Finish carpenters basically add all the final touches that make a house look like a finished home. Almost any visible wood in a home was a job for a carpenter. 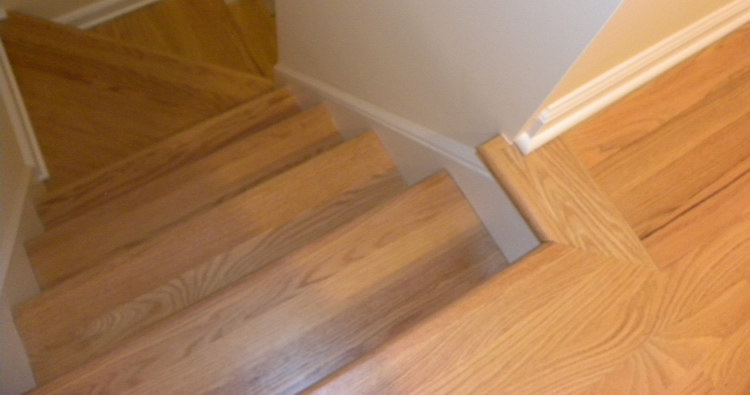 Finish carpentry projects can also include hardwood flooring or stairs. And then finish carpentry work can cut, install and add design for window and door trim. 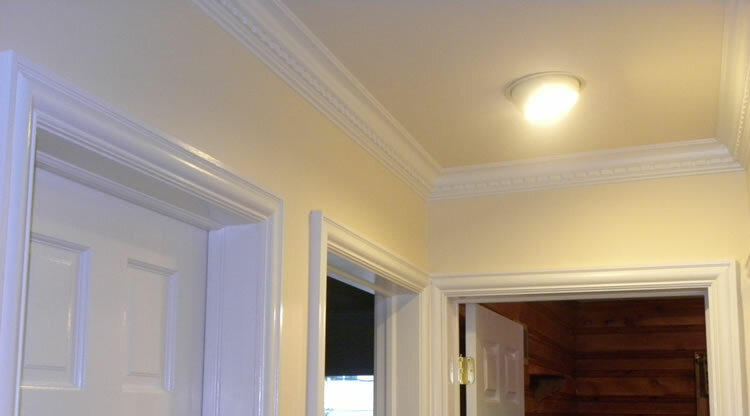 Plus we cannot forget Crown Molding and Baseboards too. Finish Carpentry proficiency, takes years of practice, learning a wide range of woodworking tools and skills. In the top picture you will see a very cool, retro looking door installed on sliding barn door hardware. This project required for us to tap into our framing carpentry skills. The original builders failed to install an adequate header to support the heavy doors, so we had to carefully remove the sheetrock, install a new header, then close up the opening with sheetrock, finishing with compound and painting to match the existing wall. Once the wall was prepared for the doors to be mounted onto, then came the fun part. This rustic looking barn door hardware provided the perfect combination of form and function. The look was exactly what the client was going for, and they performed just as well as they look! 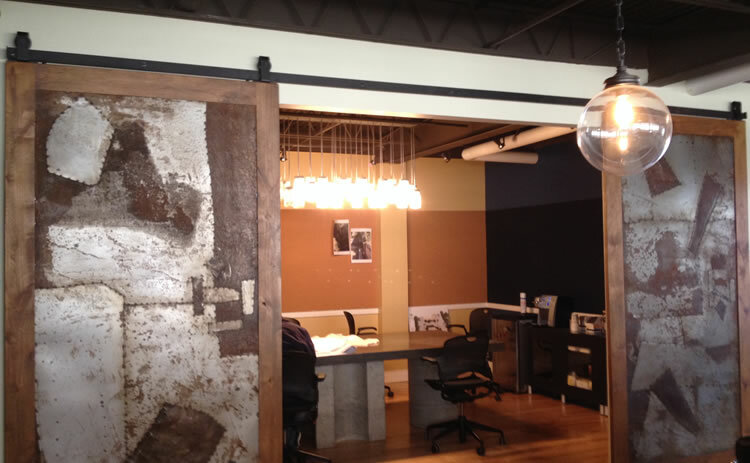 Once installed, these barn doors provided the client, an architect, a nice showpiece to impress their potential clients, while at the same time providing much needed privacy in their conference room. And to top it all off, this entire job had to be completed in 2 days while the office was being occupied! Our specialized dust-free remodeling equipment and techniques came in quite handy on this one. 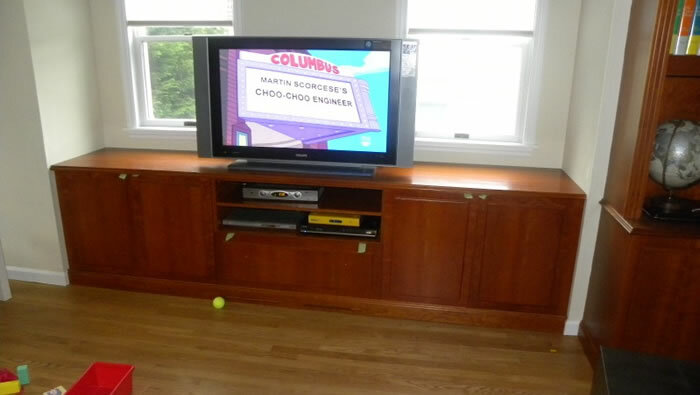 The following picture is a custom cherry built-in entertainment center we built. This Custom Cherry Built-In Entertainment Center Was Built By Craftsman Contracting. Normally, when a client contacts us to build cabinetry like this, we have a little bit of design input and are able to use finishes and moldings which are readily available to us. However, this project came with its own challenge. The client had another built-in unit right next to where this one was going, and everything had to match EXACTLY! We were given specific instructions that no details in molding, proportions or finish color would be tolerated. Careful planning, sourcing the right materials, and custom milling of the trim pieces were absolutely required to pull this one off. In the end, everything matched up beautifully, our client was thrilled with the results and couldn’t wait to start putting it to use! Then the next picture has a display of interior doors, casing and crown molding. Door Casing and Crown Molding Installed By Craftsman Contracting. An important detail shown here, which is often overlooked by less experienced carpenters, is making sure that the tops of all the doors line up evenly. Nothing looks worse than seeing doors right next to each other with the top piece of casing being at varying heights. While on the subject of continuity and consistency, hard to see here, but this crown molding has “dentils” on it. When wrapping around a corner, it is very important, though again, often overlooked, that the spacing of the dentils stays consistent as the crown molding turns from one wall into the other. A high-end semi-gloss paint on all this trim work provides a rich, durable finish highlighting the beauty of these moldings. And in the final picture, you will see a set of interior stairs we constructed. A Set Of Stairs Completed By Craftsman Contracting. The original stairs were carpeted and outdated. We had to remove all the carpeting and modify the existing stairs in order to maintain a consistent and code compliant rise and run throughout the entire staircase. Once the layout was properly done, we turned our focus on careful execution of the finish pieces. Stair building is often considered one of the most difficult carpentry tasks, and the true test of a finish carpenters skill. With careful measuring, marking and cutting, we were able to proudly display our mastery of not only carpentry, but finish carpentry as well. Why Choose Craftsman Contracting For Your Finishing Carpentry Projects? Whether you’d like some new built-in storage, beautiful moldings installed throughout your home or a custom project of some type. We at Craftsman Contracting pride ourselves on the attention to detail and quality of our workmanship that we invest into each and every finishing carpentry project we work. We’ll treat your project as if it were our very own, ensuring the highest level of quality in everything we do. A custom carpentry project relies on careful planning, excellent communication between client and contractor, precision & accuracy, and the contractors ability to understand and execute the plan without excuses. 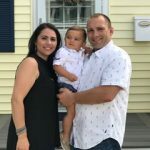 If you’d like to schedule a consultation to discuss your finishing carpentry project then give us a call (203) 642-3343 or fill out our contact form and we’ll get right back to you.